We welcome your application if you are studying at another institution. Search our courses to find the right fit for you. We are likely to offer you credit for your past study so you may be able to fast-track your degree. 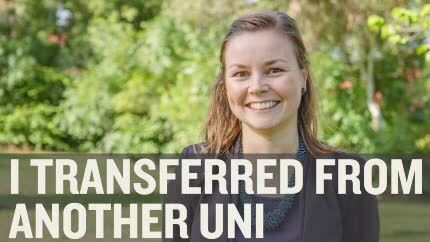 After studying at another uni for 2 years, Sophie looked around and decided a La Trobe double degree was the right choice. If you're studying at another university and want to transfer to La Trobe, apply through VTAC as a Non-Year 12 applicant. Check the VTAC website for all VTAC application dates. If you're applying to a course at our Albury-Wodonga or Mildura campuses, you can apply through UAC or VTAC. Check the UAC and VTAC websites for all UAC application dates. At some times of the year, you can apply for your course directly to the University. See more information on how to apply under your course entry in the course search. The only difference between transferring from another university and applying from Year 12 is that you may be asked to complete personal statement. If you would like to apply for credit for previous study, you can do so during your enrolment.